A sleek trunk bag that doesn't look like a shoe box. Volume: 8L / 488 cu. in. Expands to 11L /700 cu. in. Arkel has designed the most aerodynamic trunk bag on the market. One look and you'll be hooked. It's sleek, uncluttered and aerodynamic. The Tail Rider is fully insulated, has a huge opening, many internal pockets and a divider to keep the contents from shifting around. 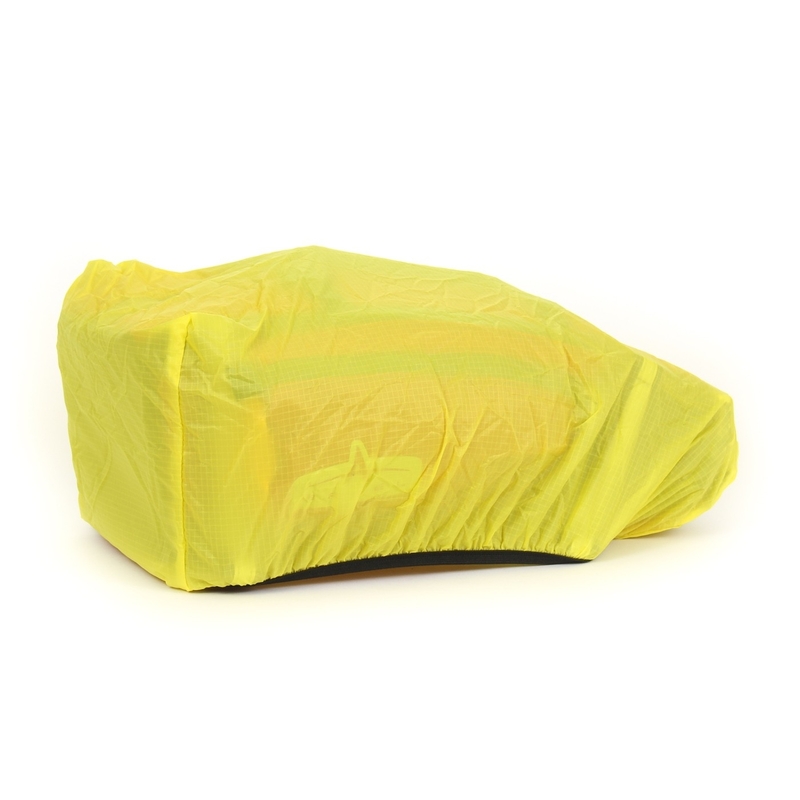 Waterproof zippers keep the rain out, but for longer rides the Tail Rider has an integrated rain cover. 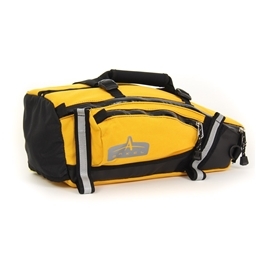 A built-in expansion bellow expands for more carrying capacity when needed. Wrap it all up with lots of safety features, including a blinker light strap built right... the ultimate trunk bag for short or long rides! And for all you "lighter and tighter is better" cyclists out there, our Randonneur Rack comes in at just 17 ounces. This combo is the lightest and sleekest alternative out there to wide trunk bags and wobbly seat post connections. Joining the minimalist revolution doesn't mean compromising on weight, areodynamics or space. Be lean, sleek and fast. Best trunk bag I've owned to date. Price, they are not cheap, but you get what you pay for. I use this on my road bicycle for Ragbrai to carry a raincoat, tools, TP, and some shoes. The bag is durable and well thought out. It is easy to put on and take off of the bike. The zippers are my favorite part of this bag. The zippers never bind and are very watertight. I had a roll of toilet paper in the bag during a down pour and everything was dry. The top is supposed to expand out to fit more items. The top does do this, but I question on the amount of space you gain. The cost is high.